The Floralis Genérica is a flower with a difference. A flower that opens (at least it did till 2010!) at break of day and closes at sunset! A flower that according to its creator “is a synthesis of all the flowers in the world, and is a hope that is reborn every day to open”. 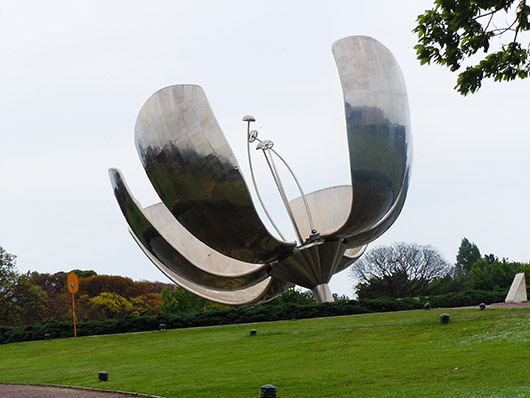 The Floralis Genérica is a mechanical stainless steel installation, gifted to the city of Buenos Aires in 2002 by the architect Eduardo Catalano, and located in a park off the Avenida Figueroa Alcorta. I shot this from the road en route to the Paseo Alcorta mall and couldn’t quite capture the reflecting pool underneath. 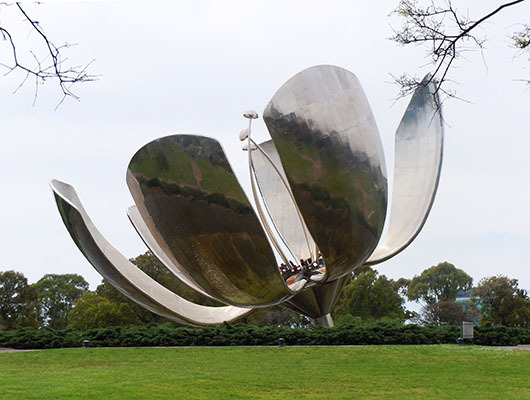 Not technically beautiful perhaps, but at 23 meters high and with its buffed steel petals, it is hardly a wall flower! Until next time, happy travels wherever life takes you! Isn’t it? And quite a stand out on that beautiful wide boulevard! Thanks Khaula. You have been missed, Madhu. I hope you feel better soon. Cool choice for the flower theme! Glad to know Naomi 🙂 Almost back to normal, thank you. Fun take on the challenge. Welcome back – I hope you’re feeling better! It really is! Thanks Sahbina. A most amazingly different flower, Madhu. I did miss you, and was going to send out a search party if you hadn’t surfaced by the end of the week. 😀 I hope you’re feeling much better by now. It’s magnificent. Love your choice for this theme. Yes, you were missed. Glad you’re feeling better. Really incredible design on the flower. Get well soon! 🙂 My friends who travelled to Chennai recently also caught a cold. The weather/atmosphere in Bangalore and Chennai are so different that this quick change makes one susceptible to cold, I guess. right now shouldn’t be the monsoon’s period? and of course 😉 I would like to live at 20-25 ° Celsius (which isn’t the case of Switzerland, specially in winter). PS. about the Flaralis Genérica… for me, it’s too futuristic, I prefer simple daisy from the fields! Ah but I do find it beautiful and I bet its a real asset to the park! Welcome back! I have so missed your posts. Hope you are feeling better. What a clever piece of art… unique and displayed for all to enjoy. You were definitely missed. Get well soon. Missed you Madhu, but I saw your earlier comment, so knew you couldn’t help your absence. Hope all is well again, and it’s nice to have you back. Happy to see you again! I visited your site last night to see if you were home. Such an unique, amazing, and creative flower! Welcome, welcome back! Welcome back Madhu – you were missed. Sorry to note that Bangalore weather is the culprit for your cold – I’m not surprised though because it is so different from the weather in Chennai. Love the flower of a different kind! I thought about you with that power outage….and did miss you too. Missed you! Praying for your complete recovery. This is another beautiful and amazing photo. That’s great are. Thank You showing it. I love this, Madhu! What a wonderful form! I love how it opens and shuts! Wow it is pretty cool! 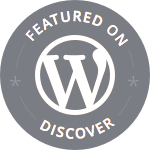 Good to see you blogging again! Glad you weren’t affected by the black out – but, oh my, the poor people suffering in the north. Liked your shots of the Buenos Aires Floralis Genérica – you are better than I – I have shots of this as well but didn’t twig to it at all for Ailsa’s theme. What an engineering marvel! It’s amazing! Thanks! What a unique piece – really pretty!